Impressive color and productivity-from a desktop MFP featuring an 8-inch touchscreen. 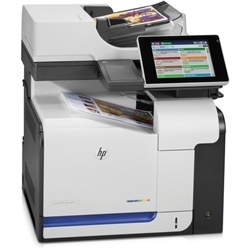 HP Quick Sets enable one-touch workflows. Preview and edit images prior to scanning. Centrally manage your environment. Help protect sensitive business information.